Ralph Lauren’s style doesn’t just cover fashion it is extended throughout the home, with the same impeccable finish, attention to detail and of course the very distinctive Ralph Lauren design signature. 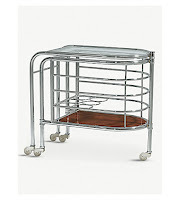 Add some edge to your home entertainment with these beautiful pieces from a very luxurious drinks trolley to very polished glass and bar ware. 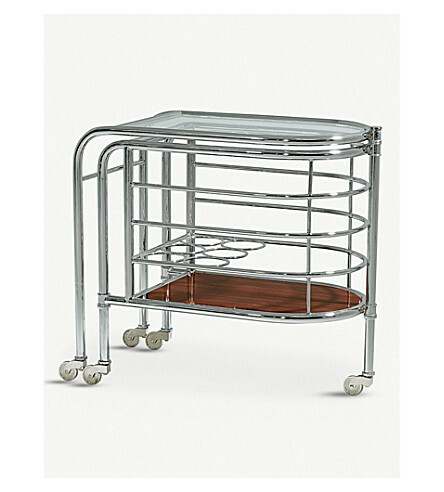 Art Deco serves as a huge source of inspiration to Ralph Lauren, who in its new homeware range applies its favourite design era to many of its offerings. 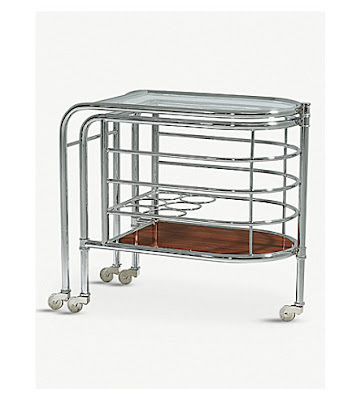 The Modern Metropolis bar trolley is based on the movement’s later Streamline Moderne architecture, its curving frame crafted from nickel-plated steel in a compact design that includes compartments to secure bottles and a rosewood shelf to keep spirits, glasses, and mixology tools. 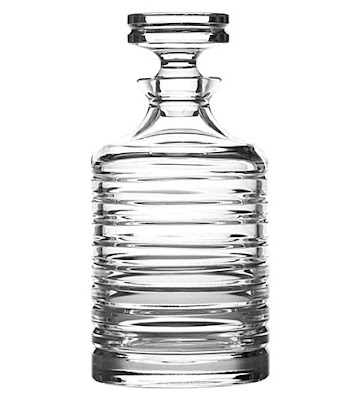 Serve drinks in designer style with this Metropolis beveled decanter from Ralph Lauren Home. 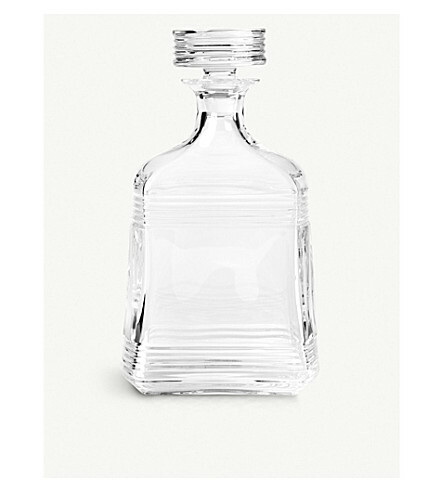 Hand cut from a luxurious lead-crystal blend, this signature piece is finished with a distinctive texture and will make a handsome addition to your home bar. Crafted from Hungarian crystal, this decanter brings the iconic style on high gears thanks to the hand-cut bars reminiscent of the signature details on the iconic luxury car – an excellent way to serve up your spirit of choice when inviting your keen motorist friends over for dinner. From Ralph Lauren Home, the Bentley ice bucket and tongs is rich in the all-American, WASP-y style that has come to define the New York brand. Made from glass with nickel-plated brass detailing, it’s a subtle and elegant piece ideal for hosting a cocktail party. Engraved with the RL deco logo. Positively dripping with old world style, the Cantwell jigger from Ralph Lauren Home captures the brand’s classic, elegant and all-American spirit. 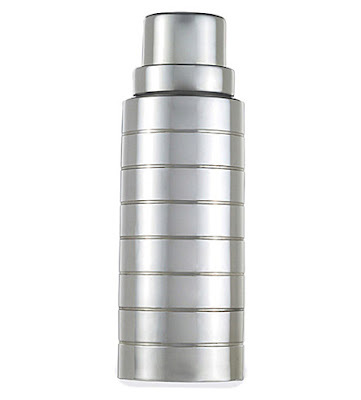 Crafted from nickel-plated stainless steel, it’s embossed with an old-fashioned brand boilerplate. 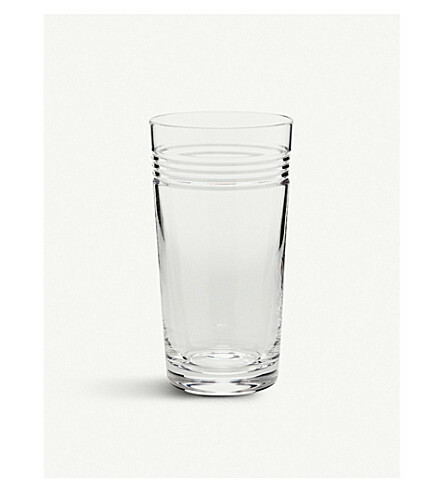 It’s ideal for pouring accurate measures. This sophisticated Montgomery cocktail shaker from Ralph Lauren Home will impress your guests this party season. 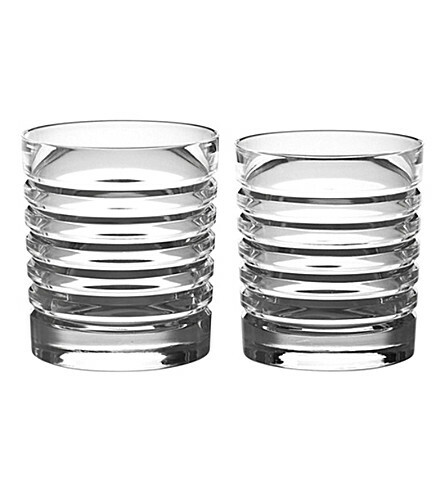 The handcrafted silver-plated barware is designed with sleek horizontal lines around its chic cylindrical silhouette. 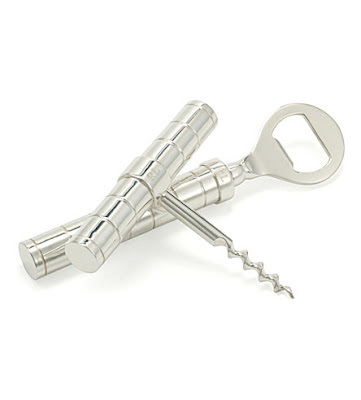 Part of the Montgomery collection, Ralph Lauren Home thoughtfully addresses every aspect of oenology with this bar tool set. A have-to-hand essential when entertaining guests, this silver-plated duo provides easy-leverage opening for corks and caps alike. 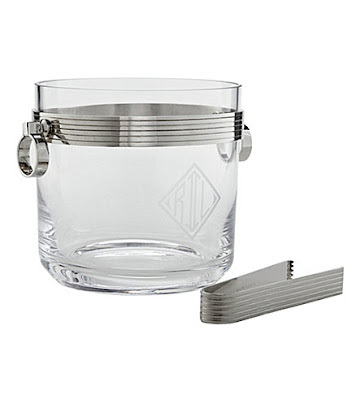 Crafted from Hungarian crystal, this highball brings the iconic style on high gears thanks to the hand-cut bars reminiscent of the signature details on the iconic luxury car – an excellent way to serve up your drink of choice when inviting your keen motorist friends over for dinner. 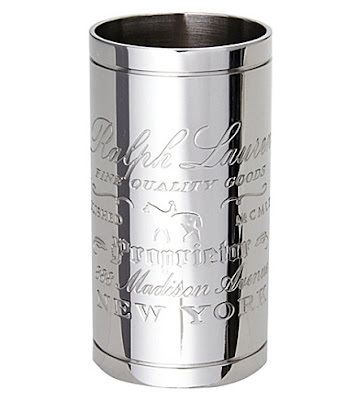 The Metropolis tumblers from Ralph Lauren deliver the iconic label's coveted blend of classic and modern influences to your home. Made from a clear, sparkling lead-crystal blend, this signature set of two showcases a distinctive beveled texture for a truly luxurious style.